"I firmly believe that renewable energy solutions are key to a sustainable future for Auckland and New Zealand. " Auckland Council is reducing its vehicle fleet and going green with the purchase of 10 new electric vehicles (EVs). 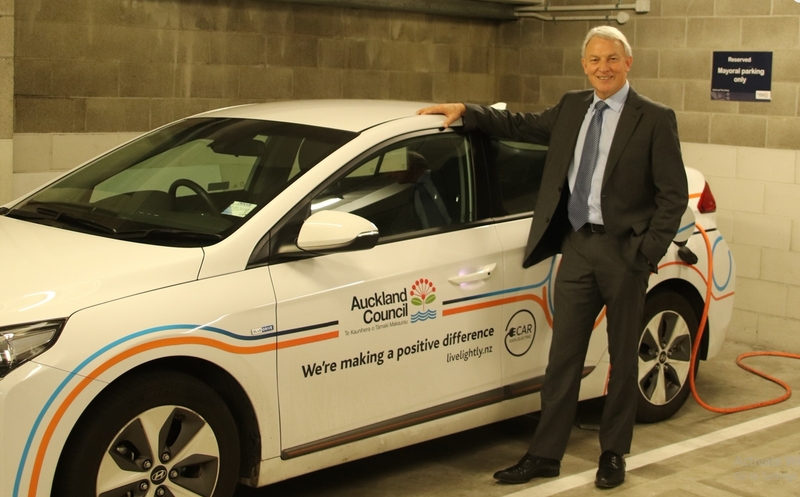 Mayor Phil Goff says, “The council has reduced the size of its vehicle fleet by 57 vehicles in the last year and replaced old petrol cars with electric vehicles. It saves ratepayers $600,000 and sends a clear signal that we are serious about reducing emissions and protecting our environment. “It is critical that the council show environmental leadership by reducing the size of our car fleet and progressively converting our vehicles to electric to meet the country's carbon-emission targets. “I am an electric car convert and firmly believe that renewable energy solutions are key to a sustainable future for Auckland and New Zealand. “Climate change is a defining issue of our time and transport accounts for around 40 per cent of Auckland’s emissions. Reductions in the council’s fleet and the purchase of electric vehicles contributes to our commitment to reduce our carbon emissions under the Paris Accord of 2015,” says Mayor Goff. The addition of 10 electric vehicles will bring the total EV’s owned by the council up to 14 – including the mayor’s EV. Auckland Council’s vehicle fleet currently numbers 790 – dipping below 800 for the first time since amalgamation. The council will continue to reduce the size of its fleet over the coming three years and progressively add electric vehicles to replace aging petrol cars. The purchase of the EVs by Auckland Council follows Auckland Transport acquiring 20 EVs earlier in the year. AT has also committed to reducing its fleet size by 15 per cent. Head of Operational Services Procurement Alan McDonnell says. “We are increasing the sustainability of the council’s vehicle pool with the addition of 10 Hyundai Ioniq Full EVs that will be part of the General Pool. “In the past financial year, council’s total vehicle fleet was reduced by 57 vehicles and we will reduce the fleet size further with auction sales scheduled for later this month. “We also avoided purchasing 26 new vehicles through redeployment of existing fleet vehicles,” Mr McDonnell says. Initially, six vehicles will be based at Albert Street, two at Henderson and two at Orewa. Charging infrastructure will be available by August. At the start of this year operational and business unit-specific vehicle pools were removed and vehicles were either moved to the General Pool, or, where they met the criteria, were dedicated to a specific role.